HomeActions, LLC™ has you covered. We’ll create a centralized marketing database for you, we’ll set up a custom branded email newsletter for you, we’ll deliver you warm opportunities, we’ll create all your email content, and we’ll automatically launch your newsletter twice a month. Become one of the thousands of real estate professionals using simple, effective digital marketing solutions to consistently reach their spheres of influence and generate more engagements. Need pricing or want to sign up now? Just fill out the form here, and we’ll walk you through a very quick video to give you an overview of our pricing options. Plus, we’ll have one of our representatives contact you to answer your questions. Become one of the thousands of real estate professionals using simple, effective digital marketing solutions to consistently reach their spheres of influence and generate more opportunities. You need a thriving referral pipeline, but your contacts are scattered across your phone, social media presences, personal and business email databases, and other sources. Don’t lift a finger. We’ll help you consolidate your contacts and create your own exclusive database. You don’t have time to become an online marketing expert. You’re looking for simple-to-use real estate marketing solutions equipped with easy tools and support. Yeah, we can help with that. 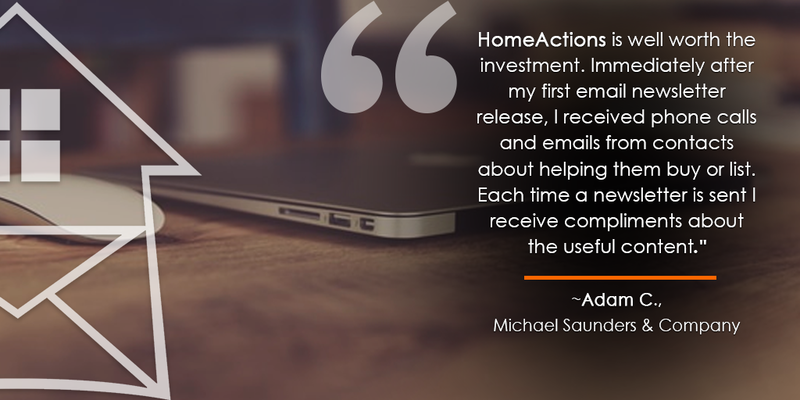 We’ll be the email experts so you can keep selling real estate. It’s imperative for you to stay in touch and give people a reason to keep reading your email communications, but you don’t have time to write articles. We’ll give you useful, engaging content that helps you stay top of mind with all of your contacts. Built-in Trigger Articles and automated engagement alert features turn your email newsletter campaign into a Opportunity generation powerhouse. Trigger Articles give you the ability to directly connect with interested newsletters readers in real time.